Tomer's Take for the Best Skiing This Weekend: Ski Banff on Friday, Northeast on Saturday, and Loveland, A-Basin, or Winter Park on Sunday. 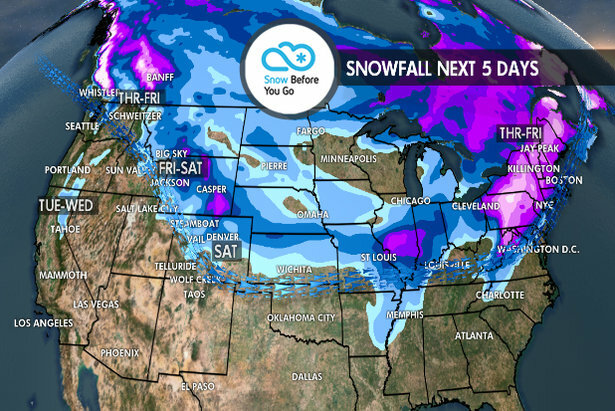 The pattern across the United States mirrors last week with another large storm system for the Northeast and heavy snow at interior ski areas. Out West, fast moving cold fronts continue to race out of the Pacific Northwest through Banff, Montana, Wyoming and Colorado. Overall, this pattern resembles a specific type of El Niño called Modoki, which I mentioned last week. It's not set in stone but something that I'm watching closely. 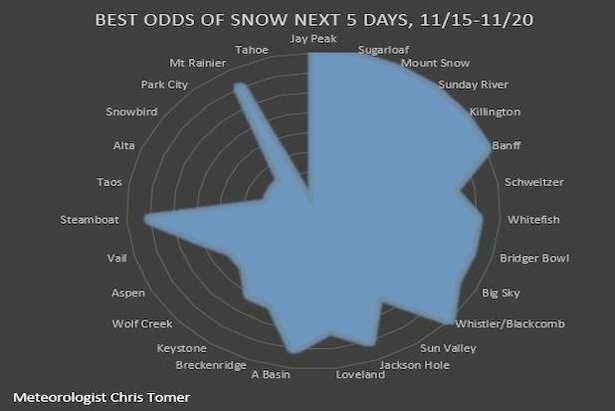 It would have important impacts on ski areas west of Colorado. A large storm system arrives between Thursday afternoon and Friday. Heavy snow is likely at the interior ski areas like Killington, Okemo, Jay Peak, Mount Snow, Sugarbush, Wildcat and Sunday River. Lake-effect snow is likely on Saturday. Another shot of light snow is possible Monday-Tuesday. Like last week, a razor sharp dividing line sets up. Eastern Colorado has a chance for light to moderate snow between Saturday-Sunday. Very little appears to hit Utah. 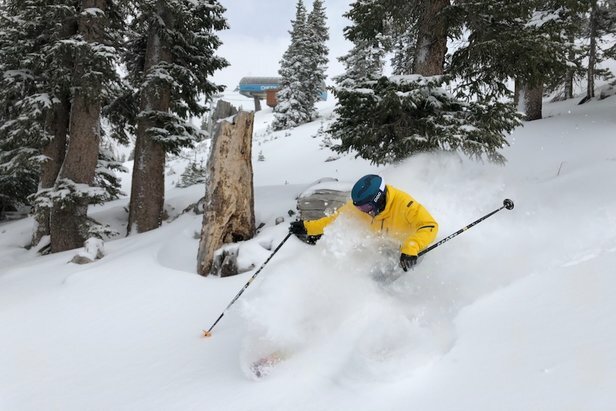 Look to Steamboat, Winter Park, Loveland and Arapahoe Basin for the best chances of snow, and be on the lookout for more early ski resort openings across Colorado. A fast moving light to moderate snow is likely late Thursday through Friday and into Saturday. This doesn't appear to be a whopper. Look to Schweitzer, Big Sky, Whitefish, Bridger Bowl, Jackson Hole and Grand Targhee. Moderate snow is likely starting in the Northern Cascades and British Columbia between Wednesday and Friday. That snow moves through Banff as well. Another storm system is possible Monday-Tuesday but timing could change. Moderate to heavy snow is likely for Whistler/Blackcomb between Wednesday and Friday. Another storm system is possible Monday-Tuesday but timing could change. Moderate to heavy snow accumulations likely between Wednesday and Friday morning. This is the place to be. A dry stretch until the pattern changes possibly by Tuesday/Wednesday-Thanksgiving.